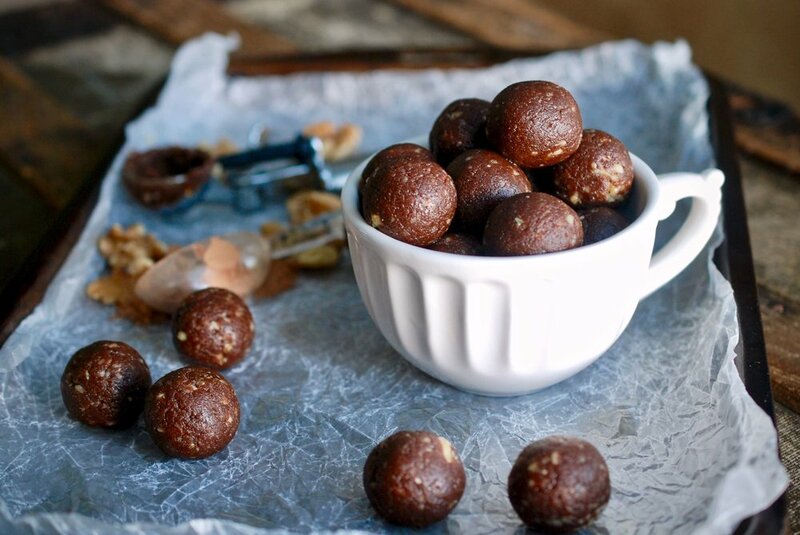 I love to whip up a batch of energy balls now and then to ensure I have some sweet treats ready to roll whenever my sweet tooth strikes (which is quite often)! Usually when I decide to make a batch of balls, you can find me standing in my kitchen, food processor on the counter, with 3 cabinet doors open, surveying the ingredients situation. You can definitely go the kitchen sink route like I usually do, throwing in whatever you can find, blending it all together until the mixture kind of sticks together, and calling them done. However, my method for THESE balls was a bit more focused; because I knew I wanted chocolate, and I knew I had walnuts in the pantry! Instead of throwing everything in, I kept them pretty simple, going for fudgy brownie goodness but with nutritious and unprocessed ingredients! What do you get? A tasty little ball of sweetness to satisfy your sweet tooth! 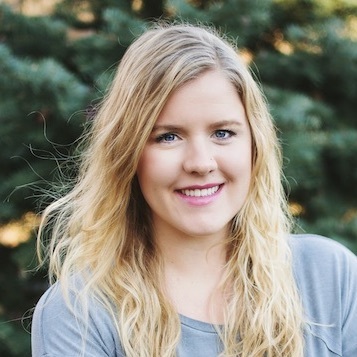 You know those Little Debbie Fudge Brownies, the kind with chocolate frosting and chopped walnuts on top? The kind that are like a weird chocolate dough texture and you're not sure what their deal is but somehow they are good in a nostalgic, ate these as a kid, kind of way? 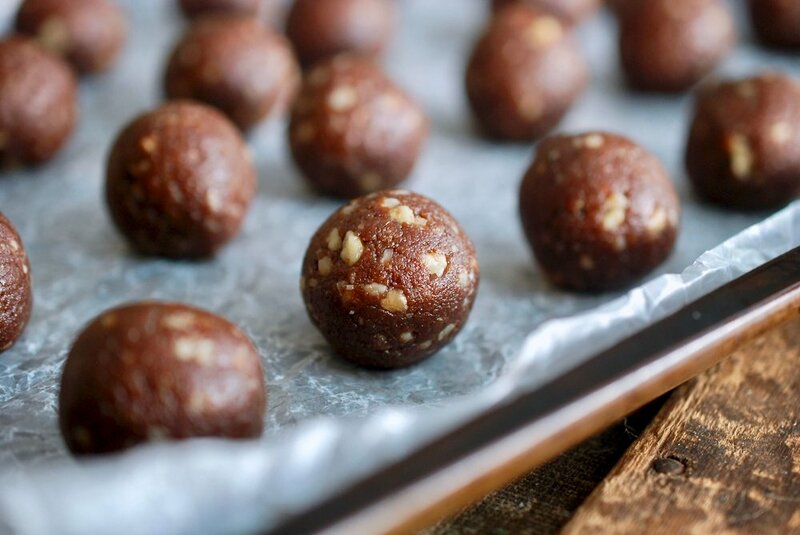 These are kind of like that, but the only ingredients in these brownie balls are: almond flour, dates, walnuts, cacao powder, salt, vanilla extract, and water! Since I add water to help the dough come together, I do recommend storing them in the fridge or freezer so they stay fresh.I like to store them in the freezer because they get a little bit more firm that way and the texture is amazing! A cookie scooper (this one from OXO is the best) works well to get equally sized brownie balls! Warning, the dough is sticky so it will get gunky! If you don't feel like scooping and rolling (a bit of a time consuming task), just line an 8x8 pan with waxed paper, press the dough out into the pan, freeze, and cut into brownie bites. Here's the food processor I use! It's huge and awesome. Best Christmas present ever, I really do use it at least once a week. In the bowl of your food processor, combine dates, almond flour and cacao powder. Process until everything is chopped into tiny pieces (this will take a couple of minutes). Add in vanilla extract and salt and process to combine. The mixture should hold together a bit when you pinch it in between your fingers, but we'll need to add some water to get a "cookie dough" consistency. While the food processor is running, drizzle in 1 Tbsp of water. Continue to process and re-test the texture. Add an additional Tbsp of water if needed (I used two total). If the dough has formed a big ball in the food processor, break it up some to distribute it around the blades. Add in 1/2 cup of walnuts and pulse a couple of times to chop them up and combine them with the dough. Using a small cookie scooper, scoop the dough out into balls and place on a wax paper-lined cookie sheet. TIP: If you don't have a cookie scooper, just pinch off bite sized pieces, as big as you want them! I used my smaller cookie scoop and got 26 balls, but if you make them bigger, you'll just get fewer! I always dump the mix out of the food processor bowl into a small bowl to make scooping easier (I hate that plastic thing in the middle of the food processor bowl). Warning, the cookie scooper will get super gunked up since the dough is sticky! Roll each scoop in your hands to form into balls. You'll find that the mixture is pretty greasy from the nuts! Not to worry. Store in the fridge or freezer and pop one out any time you need a sweet treat! Chocolate Walnut Brownie Balls – Maria Makes: Fudgy brownie goodness but with nutritious and unprocessed ingredients! 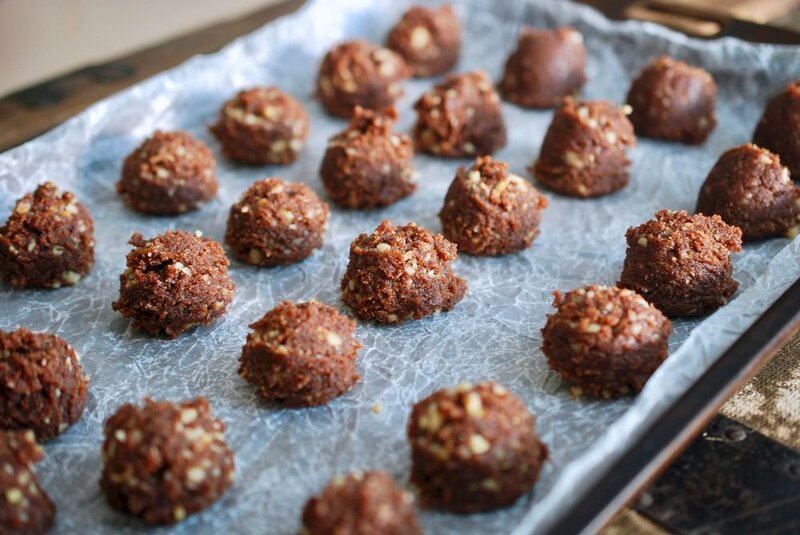 Energy balls made with almond flour, dates, cacao powder, salt, vanilla extract, and water.